The Rangemaster It is easy to see why the Professional Plus is quickly becoming Rangemaster's most popular contemporary model. In Stainless Steel, the Professional Plus succeeds on all levels. 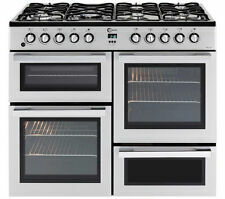 A QUALITY REFURBISHED RANGEMASTER. 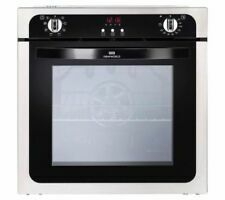 Height (up to hotplate) (mm)890 - 925 (adjustable). Or give us a call on. Pallet will arrive in a lorry with one driver. Driver will unload your palleted cooker off the lorry but he will not assist with moving it inside your property. 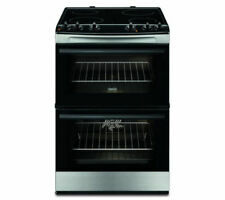 Rangemaster Classic Noir 110cm Wide. 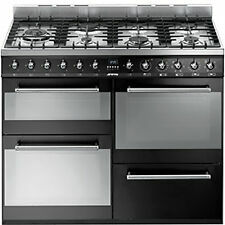 Gas Hob with double fan oven. 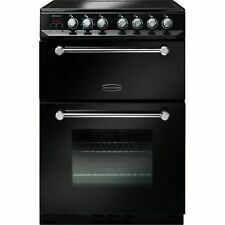 Montpeller 100cm dual fuel range cooker. Condition is Used. Collection in person only. RNMUD 76 MFTE / CI. Gas / Elektro Standherd. Kabel ohne Stecker. Analoge Uhr. 1 Backblech und 2 Roste. 1 Dreikranz WOK-Brenner mit 3,70 kW. 1 Backblech und 1 Rost. Ober- und Unterhitze.